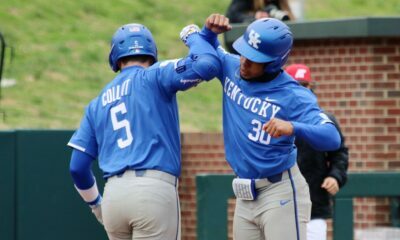 The Cats got back on the diamond Tuesday night hoping to regroup, coming off a 3-game losing sweep against LSU this past weekend. 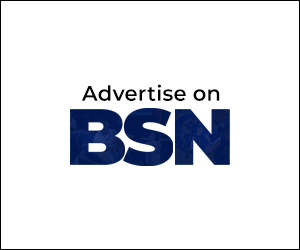 The Kentucky Wildcats face Xavier University, who are currently sitting at a 6-12 record and on a four-game losing streak. The Wildcats come into this game at 13-7 overall and on a three-game losing streak, hoping to turn that around tonight at Kentucky Proud Park. Freshman, Alex Degen got the ball to start for the Wildcats. Alex is 1-0 on the season with an ERA of 5.40. Kent got the start for Xavier, who is 0-1 on the season with a 6.28 ERA. Xavier got on the board first in the top of the first with a single to right field by Shepski, who advanced to second on an error by the catcher, scoring Grammes to put Xavier up 1-0. In the bottom of the third inning, Jaren Shelby singled to center field, scoring Ryan Shinn. C. Kessler reached on a fielder’s choice, scoring TJ Collett on a throwing error. Cam Hill singled to center field, scoring Dalton Reed. Alex Rodriguez then hit a three-run bomb to put the score to 8-2. The Cats took a six run and never looked back. 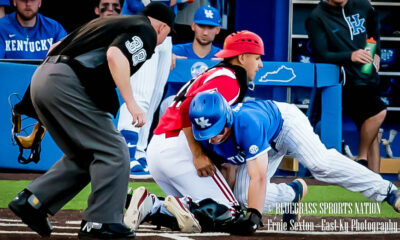 The Wildcats scored six more runs in the bottom of the fifth inning and added a run in the seventh and eighth inning. 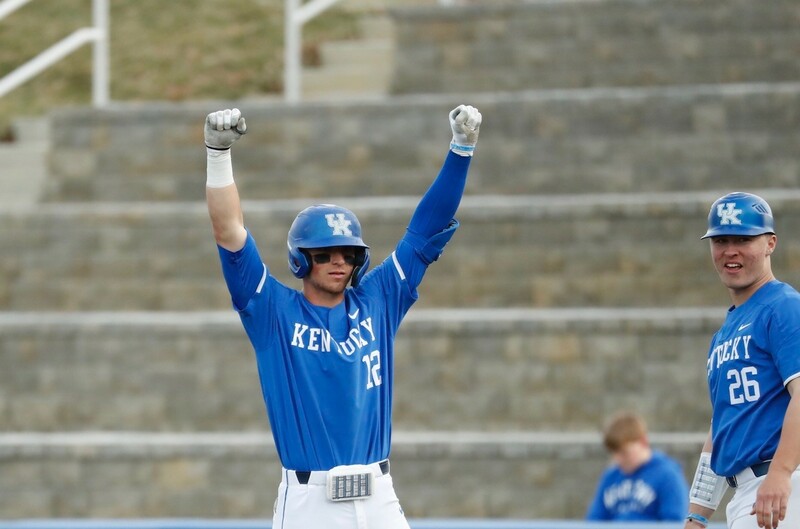 The final score ended with Kentucky winning 16-3. 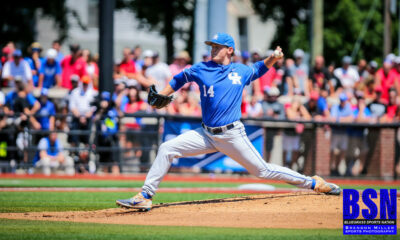 Trip Lockhart got the win for Kentucky putting him at 1-1 on the season. Matt Kent got the loss for Xavier putting him to 0-2 on the season. 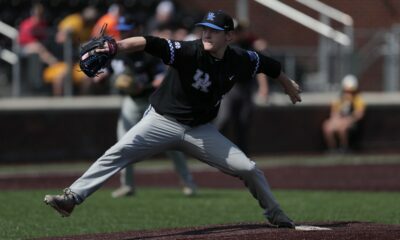 Kentucky threw nine pitchers out of the bullpen tonight with none of them pitching more than 2.2 innings, which was the starter Alex Degan. Kentucky had 12 hits tonight, committed one error, and left six runners on base. The Cats also went deep four times tonight with homeruns coming from Breydon Daniel, TJ Collett, Jaren Shelby, and Alex Rodriguez. This win puts Kentucky to 14-7 on the season, looking to pick up some more wins as they play seven more games in a row at home. The Cats are 11-1 at home on the year so far. The Cats get back into action Friday night, which is a three game weekend series against an SEC opponent Texas A&M. Kentucky is currently 0-3 in SEC play and these games could give them some momentum for the rest of the rest of the season. Everybody come out and watch some SEC baseball as the weather looks promising for the weekend. The game times for this weekend are Friday at 7 Pm, Saturday at 2 Pm, and Sunday at 1 Pm.